I visited my sister at work yesterday and her friend Pam told me about Blue Q socks. And…they are pretty awesome. The messages are hilarious and say exactly what you are thinking some of the time, but may not say out loud. Unless you are my sister or me. 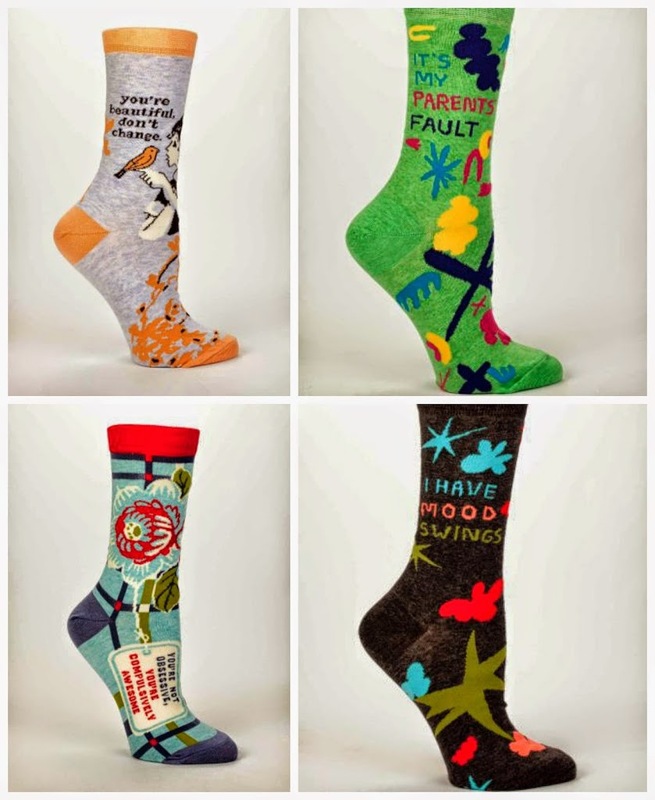 If you, unlike us, actually have a filter, these socks are perfect for you. It is kind of like a secret joke between you and your shoes. A small portion goes to Doctors Without Borders too…bonus!